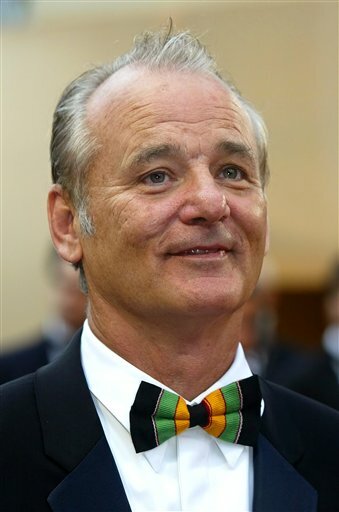 Bill Murray Joins HBO Miniseries ‘Olive Kitteridge’!! Bill Murray doesn’t do a whole lot of television anymore, but he has made an exception for HBO’s new miniseries ‘Olive Kitteridge‘, which is based on the award winning novel by Elizabeth Strout. The project will be directed by Lisa Cholodenko (‘The Kids Are All Right‘) and tells the story of a quaint town in New England where crime and steamy affairs happen between everyone. All is chronicled through the eyes of Olive, who will be played by Frances McDormand. Murray will play the role of Jack Kennison, a local widower who becomes good friends with Olive. Richard Jenkins, John Gallagher Jr., Rosemarie DeWitt, Zoe Kazan, Jesse Plemons, and Cory Michael Smith are also on the cast list. Tom Hanks and McDormand are producing the series as well. This has Emmy and Golden Globe awards written all over it, and HBO hasn’t let us down before, have they? I love seeing Murray in these roles. I loved when he played president FDR, but can only hope he chooses to make a straight out comedy again like he did back in the 80s and 90s. Your thoughts? This entry was posted on Wednesday, November 20th, 2013 at 1:29 pm	and is filed under News, Television. You can follow any responses to this entry through the RSS 2.0 feed. You can skip to the end and leave a response. Pinging is currently not allowed. « ‘The Walking Dead’ Season 4 Recap – Episode 6 ‘Live Bait’! !